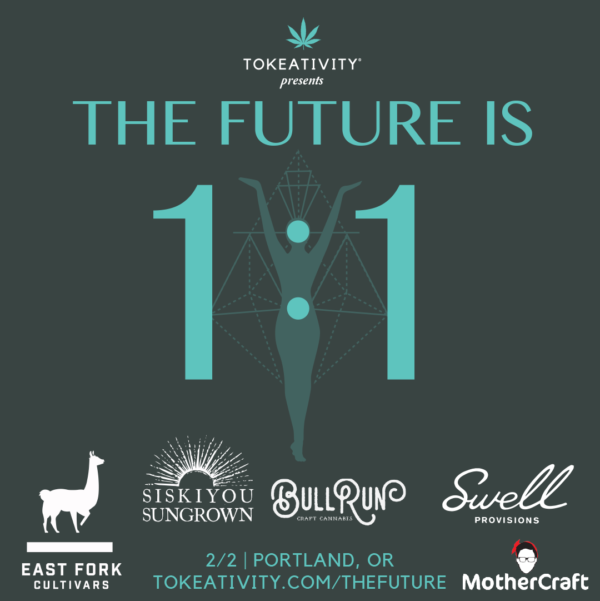 Inspired by the healing magic and organic balance that a 1:1 ratio (THC/CBD) brings, The Future is 1:1 was created to be an ally building workshop and communication bridge. Let’s create our own entourage effect together, strengthen our Oregon cannabis community, and build the kind of culture we all want to live in and work in. We’ll begin by discussing equality and what the balance of 1:1 means to us. We’ll then listen to a few women-centered stories and break into groups for roleplaying either example stories or our own. Afterwards, we’ll shift gears into our 1:1 social, where we can explore interactive stations, brands that support the mission of equality, write a letter to our future selves, play at the craft table with Mothercraft and connect on new perspectives we’ve added in our toolbox.